At least 25 people, many believed to be students, were killed when a suicide blast ripped through a school in a Shiite area of Kabul Wednesday, officials said, the latest assault on Afghanistan's war-weary capital. The attacker appeared to target the Mawoud education centre, which specialises in preparing students for university exams in the western part of the city, officials said. "We can confirm the attack was caused by a suicide bomber on foot. 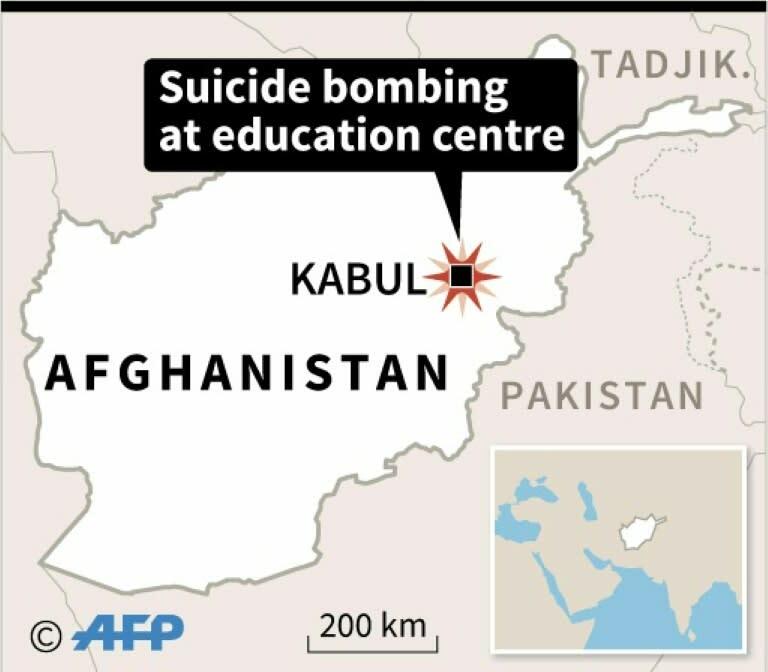 The bomber detonated himself inside the education centre," police spokesman Hashmat Stanikzai said. The spokesmen for the interior ministry and health ministries both confirmed that at least 25 people were killed and 35 injured. It was not clear how many students were at the centre at the time of the attack. One witness, another student named Ali Ahmad, said as many as 100 students may have been inside when the bomber struck, but officials have not yet confirmed the figure. The uptick in violence comes as US and Afghan forces intensify ground and air offensives against the Islamic State (IS), and the Taliban step up their turf war with the group. IS, however, has carried out multiple attacks in the eastern city of Jalalabad and the capital in recent months, targeting everything from government ministries to a midwife training centre.